I have used the Genesis Framework and various child themes on Our Virginia Home for several years. 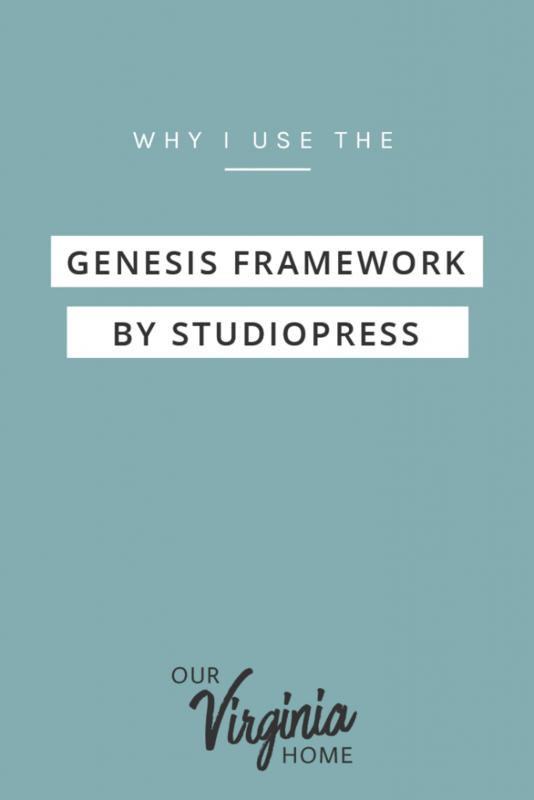 I prefer working with the Genesis Framework because it builds a solid foundation for WordPress sites. Over 500,000 WordPress sites use the Genesis Framework, so you’ve likely seen some of their most popular themes on your favorite blogs. Over the years, I’ve tested several Genesis Child Themes. I am using Foodie Pro on my site and paying $3.95 per month for hosting. Most Genesis child themes with the framework cost $99.95 – $129.95. If you have multiple sites or want a library of Genesis child themes to choose from, you can purchase the Pro Plus All-Theme Package for $499.95. You will have access to all of their existing themes and as new themes are released, they will be added to your account. This is a must-have is you are planning to build a web design business using the Genesis Framework. When you purchase the Genesis Framework, you have access to their support team and a community forum with over 10,000 members. With so many people involved in maintaining sites built on Genesis, I know that I can reach out for assistance if I need it. StudioPress releases free framework updates. You’ll save a lot of time by using one of the Genesis Child Themes and just tweaking your logo and colors. 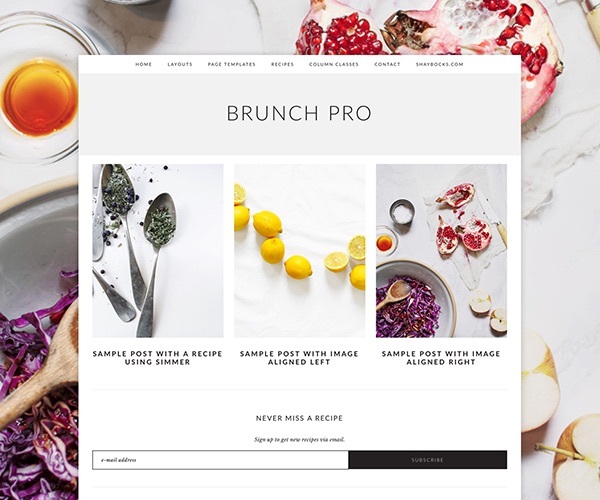 Several of the themes show food blogs or specific niches. They’re easily adapted to many different niches, though. Although there are many child themes available, you may have a specific layout or advanced theme edits in mind. With Design Palette Pro, you can modify margins, padding, colors, and fonts on your Genesis theme without knowing code. If you’re interested in creating custom Genesis child themes, you can use the Dynamik Website Builder. The builder has an option to export the child themes you’ve created so you can use them on multiple sites or sell them. Also, from what I’ve tested, the themes are compatible with the Elementor Pro and Beaver Builder page builders. Did you find this post helpful? Help spread the word by sharing it on Pinterest.